Around the Neck: we are definitely not asking you to look like a gangster by wearing around your neck. However, little improvising can make you look smarter even with this style. Try wearing bandana with a monochrome outfit, like all grey or black, this literally draws the attention of people towards your style. Just make sure to tie the bandana around your neck, leaving some part to hang down. Around the Head: Many people have a bad hair day so it's perfect to accessorise the bandana. Play with the pattern and texture and the world will be your oyster. So, try something new! Around the Leg: It seems quite weird when we talk about wearing a bandana around the leg, but it gives you a trendy and a funky casual look. Wear your blue jeans and a crisp white shirt. However, wearing a red bandana will give a look of wearing the uniform,but if you wear it at the ankle of your leg, it will show off brilliantly. Decide the style and outfit you are going for – this will make it easy for you to decide the material and the shape our bandana. Learn how to tie the bandana – this is utmost important if you wish to nail this style effortlessly. 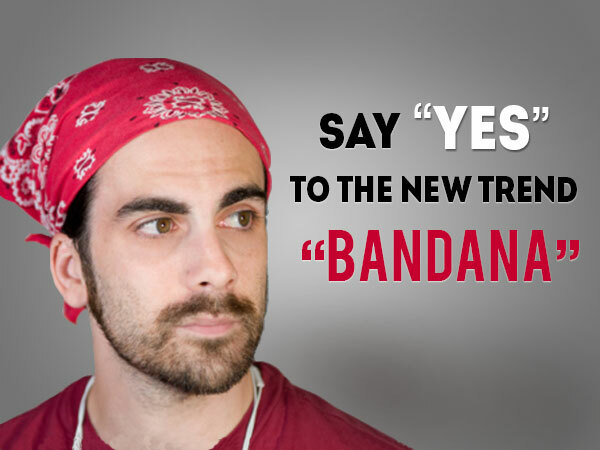 Flaunt your bandana style with confidence and let people compliment your style and attitude. On That Note: Bandanas are really cheap to buy, but they are really cool if you wear them. Stay Stylish!